Happy Friday!!!! Hurrah for the weekend! 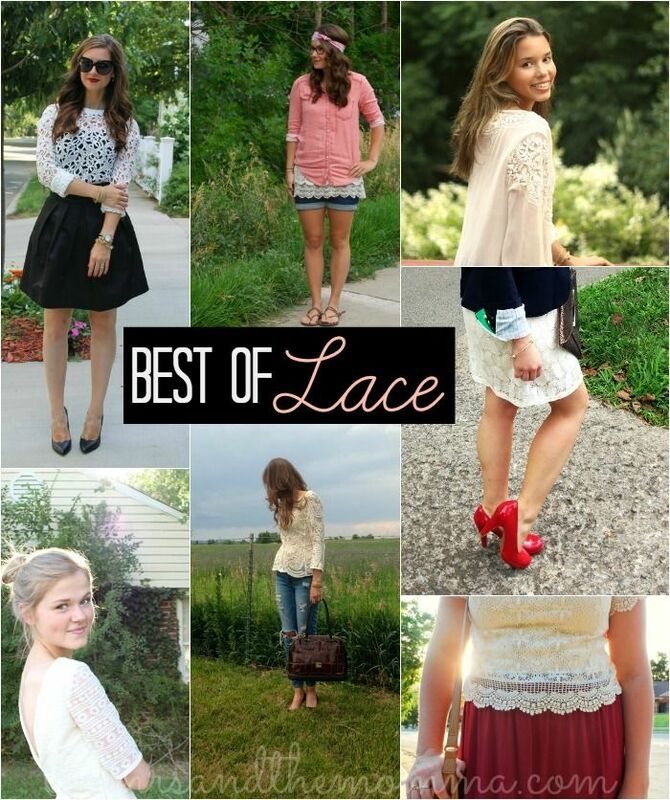 This week's BEST OF Friday Style features a favorite trend of mine that can be worn in any season....Lace!!! I especially love lace in the fall. Think ---> riding boots, leather bomber, and lots of accessories! 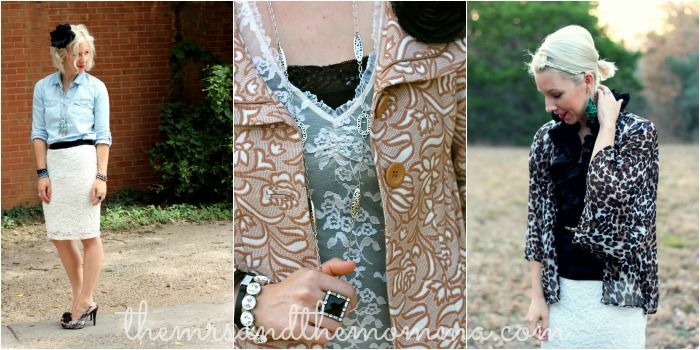 Check out how these ladies wear their lace layered or alone...and one is even a DIY!!! Also, here's some great lace option for this fall...the great thing about lace, is that it can be worn in all different shades! Both Ruche and Anthropologie are go to's for the best lace options!!! Well now I'm wanting some more lace in my closet! I have a skirt that I really like...so thanks for the inspiration to bust it out again! I love lace and you can never have too much of it. I with you, lace a lovely trend! Can never go wrong with lace :) Happy Friday lady!! Lace is so beautiful and girly. I just purchase yet another lace dress today and I can't wait to wear it! Thanks for hosting, my dear! Can't say that I've dabbled much with lace -- I think it feels a bit too dainty for me, but I love the textural element.